I'm grateful to Will for sending me the results of a rainwater test that he had done in central Dundee. When the results came back from the lab they confirmed the presence of Aluminium and Barium. This is typical of rainwater that has been seeded with chemicals used in chemtrailing (geoengineering). 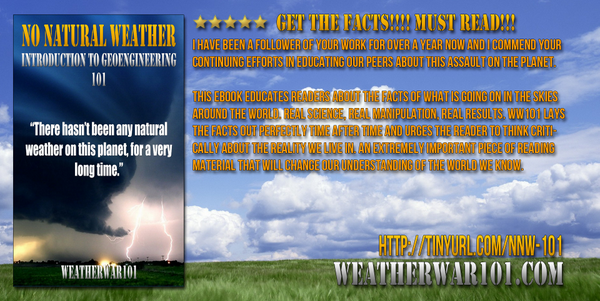 Hiya..thanks for highlighting my blog post about the rainwater test. I'll put in a link to that chemtrails project website you highlighted and hopefully we'll get more samples from Scotland. Heavy chemtrailing seen today when the sky broke up. I'll do a blog later. Hope you enjoyed your trip to Amsterdam ! 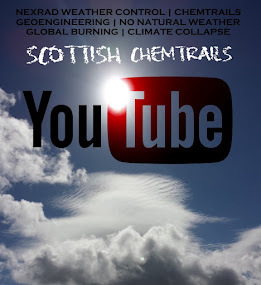 Hello, I am trying to find people who have researched chemtrails and feel they have enough information about it, and would like to join me for a film screening and public discussion afterwards on the subject. Film: "What in the world are they spraying?" This event would take place as part of the The Only Way is Ethics festival in glasgow (end November-early December). Anyone interested?